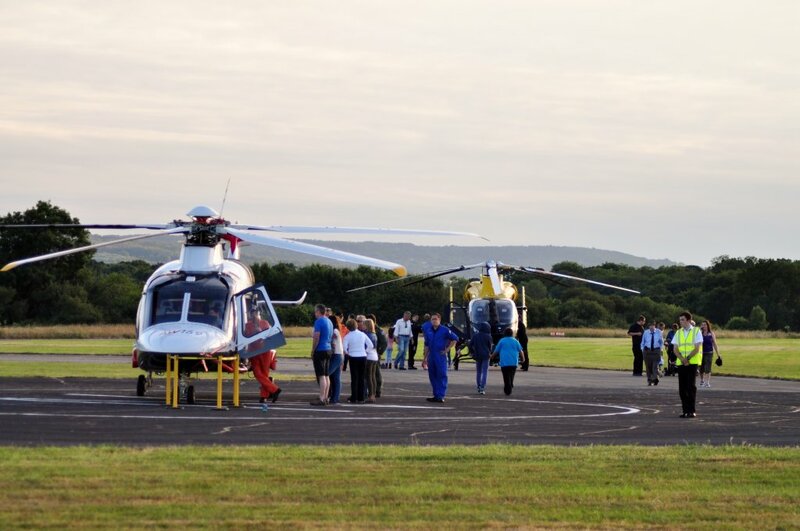 On a glorious summer evening the Royal Navy once again welcomed local communities to get a glimpse of what the Fleet Air Arm (FAA) does and what training is undertaken at this Satellite airfield. Lewis Gaylard reports from the opening day of the event. All photography by the author. RNAS Merryfield has for many years been an airfield of great activity. 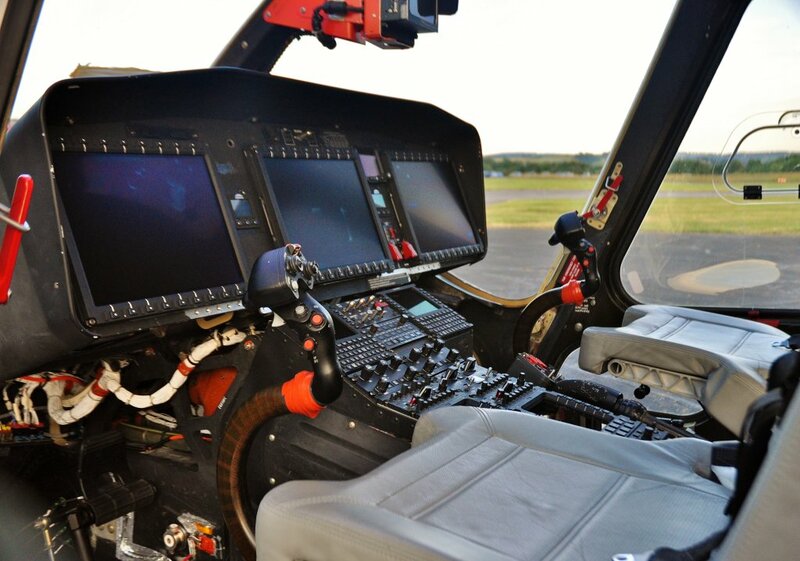 A lot of training for the FAA helicopter squadrons based at nearby RNAS Yeovilton has been undertaken here. 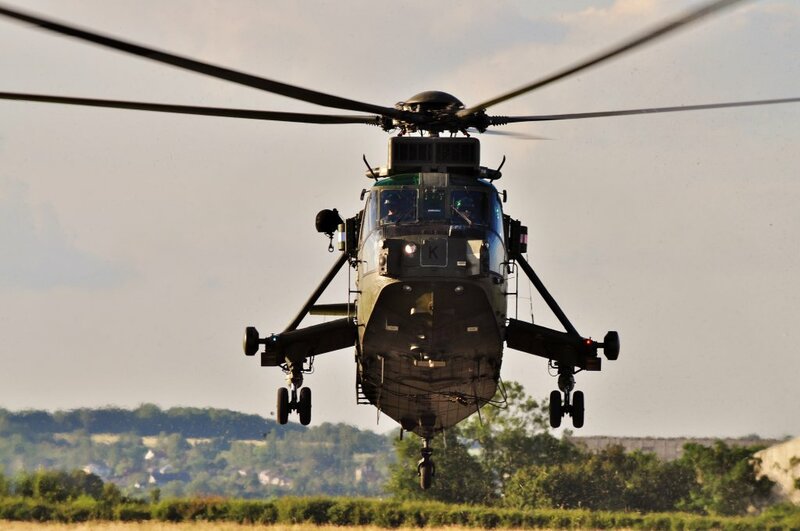 Over the past few years the number of training sorties carried out at Merryfield has increased with Commando Helicopter Force (CHF), Maritime Lynx and the Army Air Corps (AAC) Aviation Reconnaissance Force all now regularly 'buzzing' around the airfield. 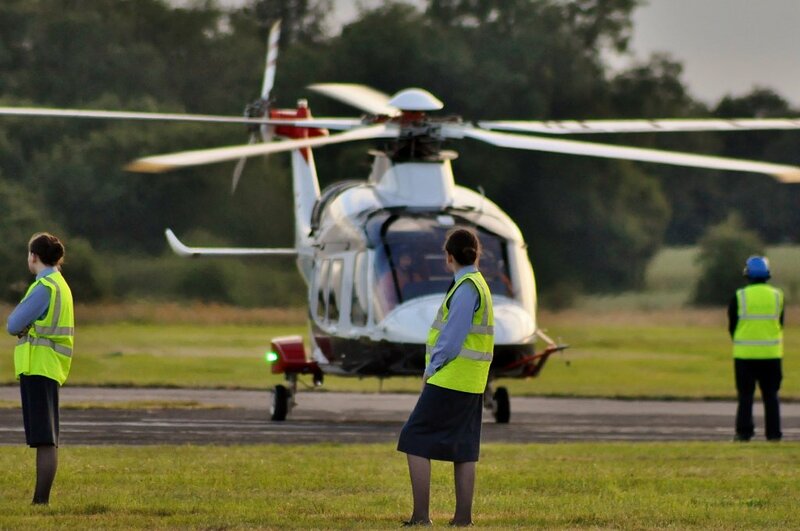 Occasionally Merryfield is also used by helicopters from AgustaWestland on test flights from their factory airfield in Yeovil. 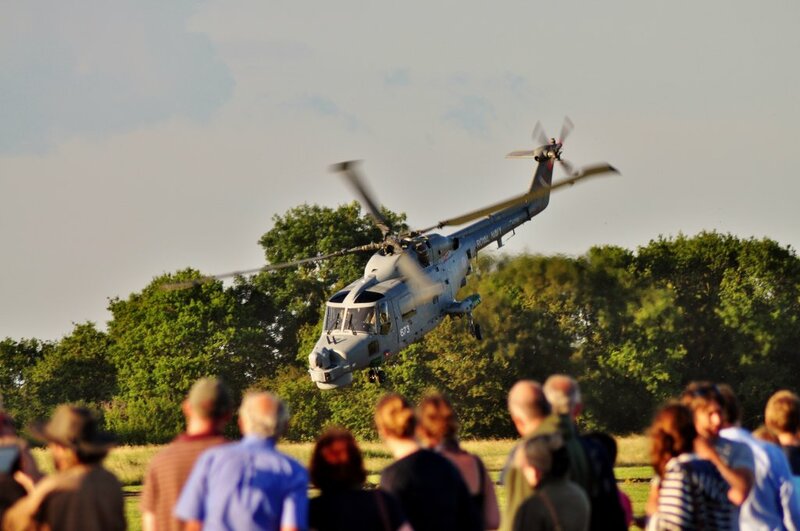 With all this weekly flying being undertaken, RNAS Merryfield Open Evening is a little 'Thank You' from the Royal Navy whilst also being a chance to explain directly to the locals why the 'Matelots down the road' use Merryfield. With the gates opening at 1800 and with admission and parking at its normal price of 'Free', a large crowd was in attendance. Merryfield's ground attractions are a nice mix of service displays, local produce stalls and a variety of refreshments along with the assembled 'static' aircraft. 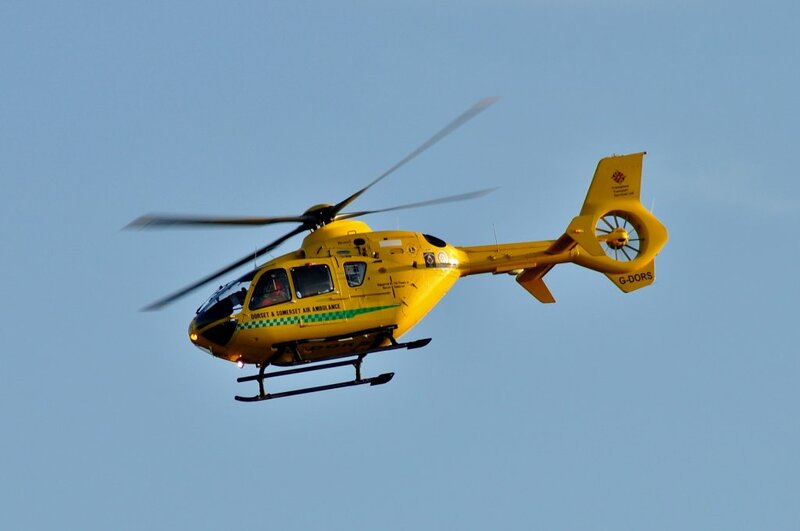 This year there was a larger 'static' participation with Devon and Somerset Air Ambulance being able to display their Eurocopter EC-135 (G-DOORS) and Avon & Somerset Constabulary providing a McDonnell Douglas MD900 Explorer (G-BXZK). 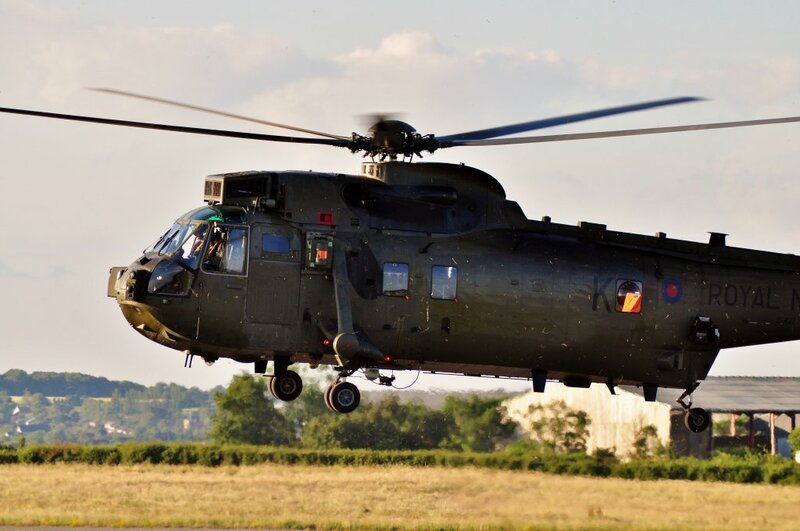 AgustaWestland had planned to send the HH-101 Caesar (AW101) combat search and rescue (CSAR) helicopter for the Italian Air Force (Aeronautica Militare Italiana:AMI) which had recently made its maiden flight on 19th March. However, due to a last minute technical problem it was withdrawn from attending. 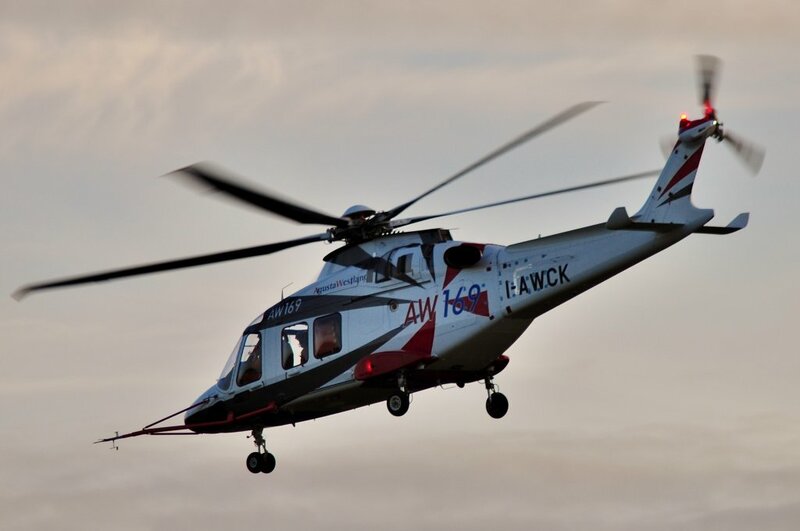 The appearance of the 'test variant' AW169, piloted by Deputy Chief Test Pilot Mark Burnard, certainly proved a popular addition. The Heron Gliding Club, which normally operates from Yeovilton, provided its Falke motor glider 'tug' along with one of their SZD-50-3 Puchacz two seat gliders. Unfortunately they didn't seem too keen to give this author a ride! 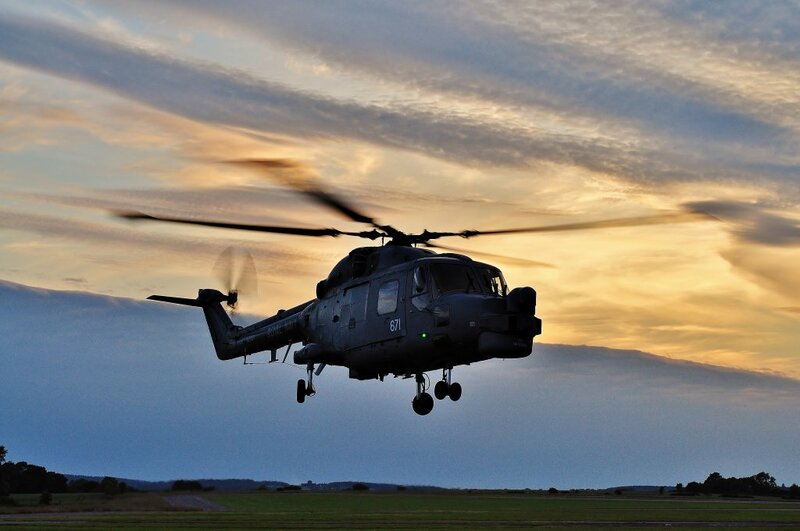 RNAS Yeovilton, despite their busy schedule, was able to provide a number of aircraft from its various naval squadrons. 727 Naval Air Squadron (NAS) sent one of its Grob Tutor training aircraft which is used for flying grading. 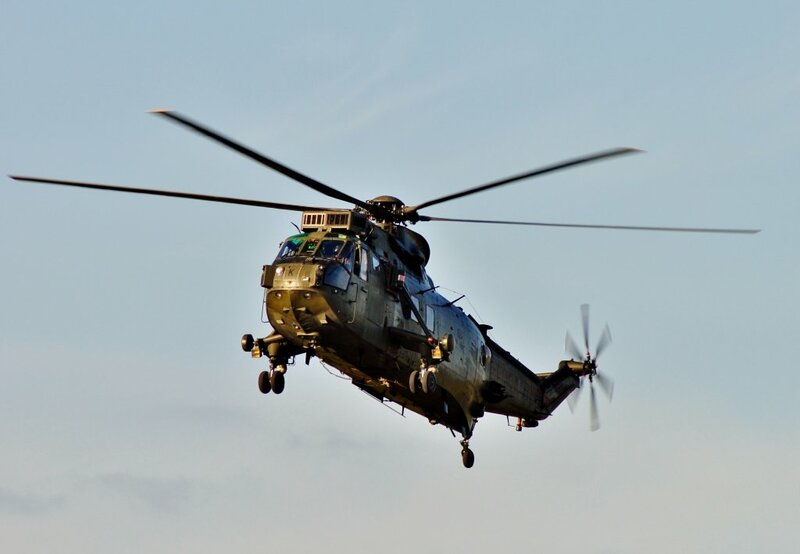 The last 'Jungly' squadron, 845NAS, provided one of its 'Venerable' Sea King HC4 which will soon begin to be replaced in service by the Merlin HC4. 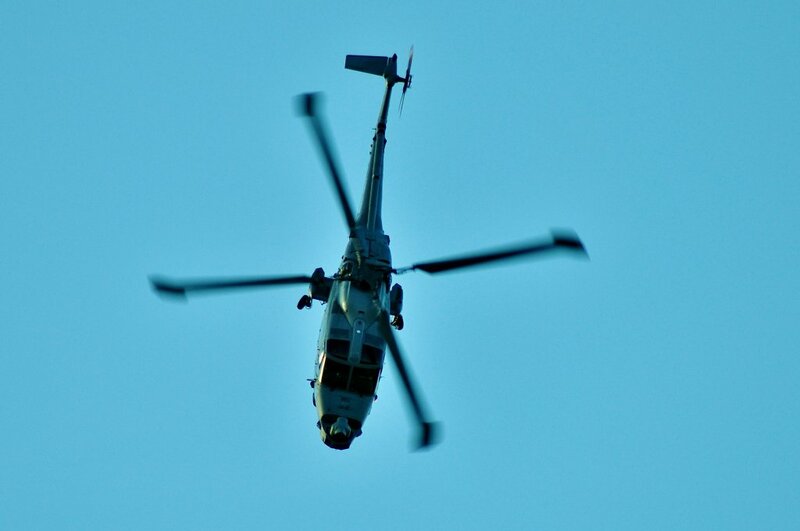 Having entered service with 846NAS in late 1979 the 'King' has become part of naval folklore and will be sadly missed when it decommissions in 2016. 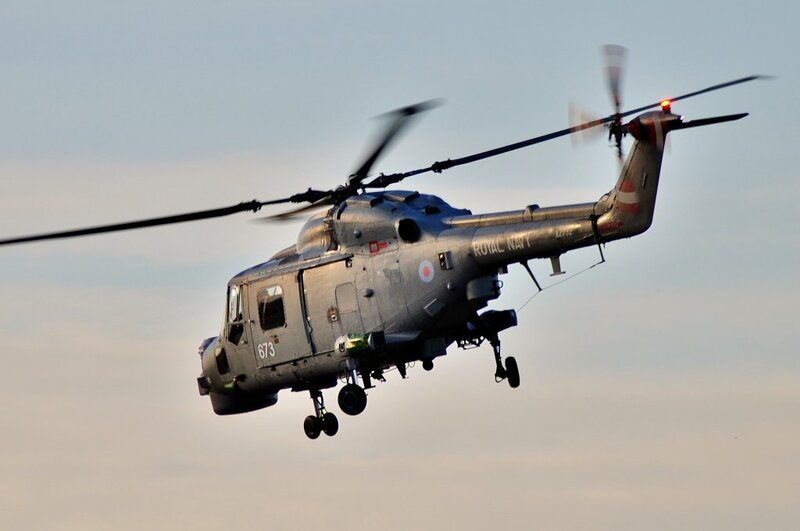 702NAS, in one of its final public appearances, provided a Lynx HMA8 along with an AgustaWestland Wildcat HMA2 of 700(W). 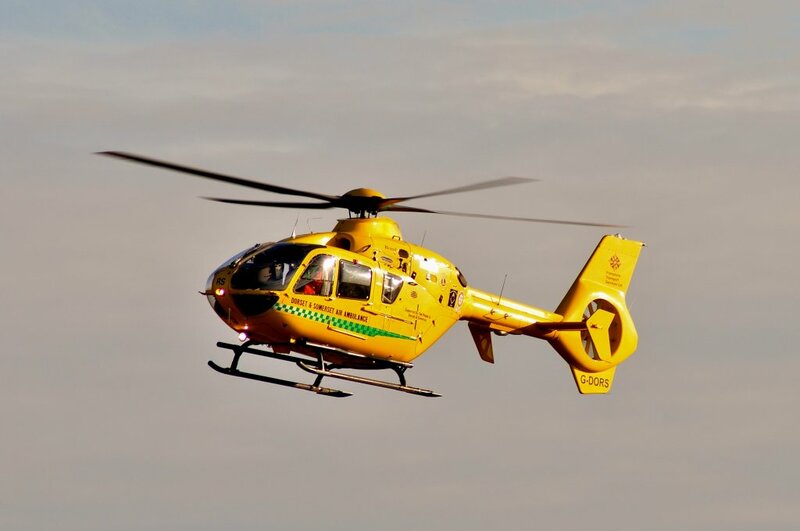 These both proved to be very well received and the attendant aircrews were kept busy answering a multitude of questions and allowing a few lucky people a chance to sit inside the aircraft. 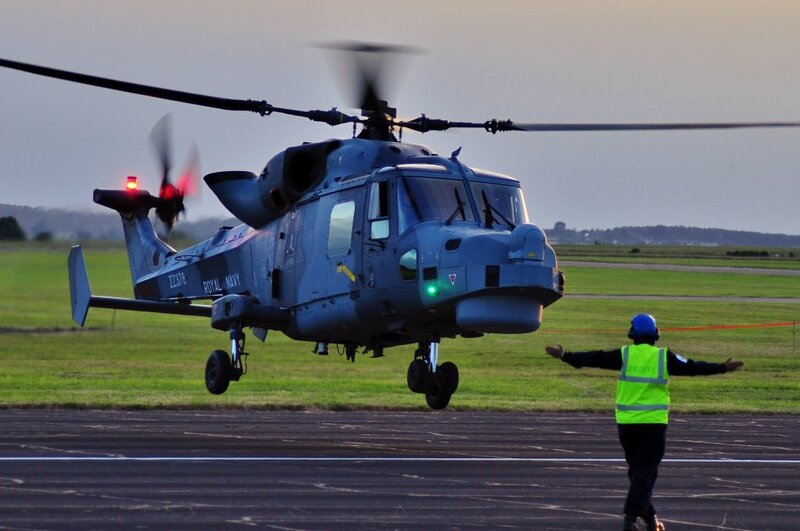 Since the open evening 702NAS completed its final Lynx training course and was decommissioned on Friday 1st August when its last Wings parade was held at Yeovilton following 36 years of continuous service. Since 1978 702NAS has trained over 800 Pilots and Observers and thousands of Engineering Technicians along with 44 Foreign Exchange aircrew. 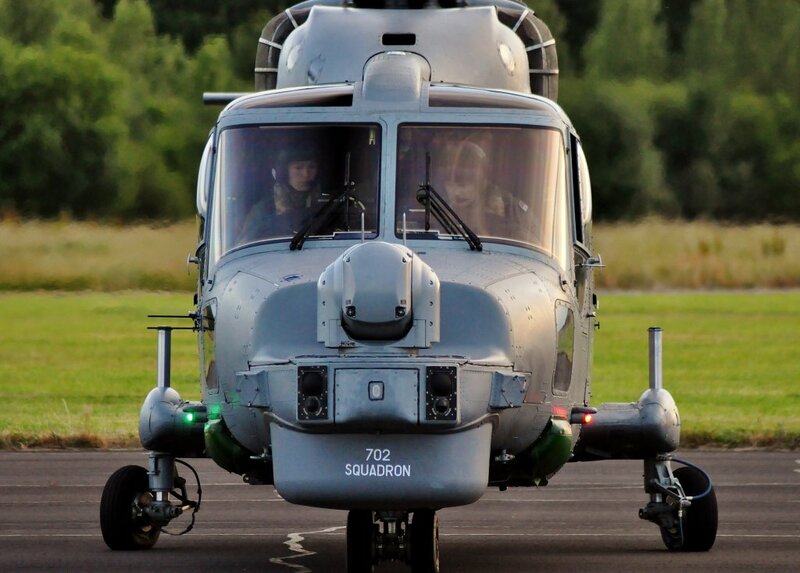 700 (W) has now also decommissioned after completing the Tactical Development phase (TACDEV) prior to Wildcat entering front-line service. 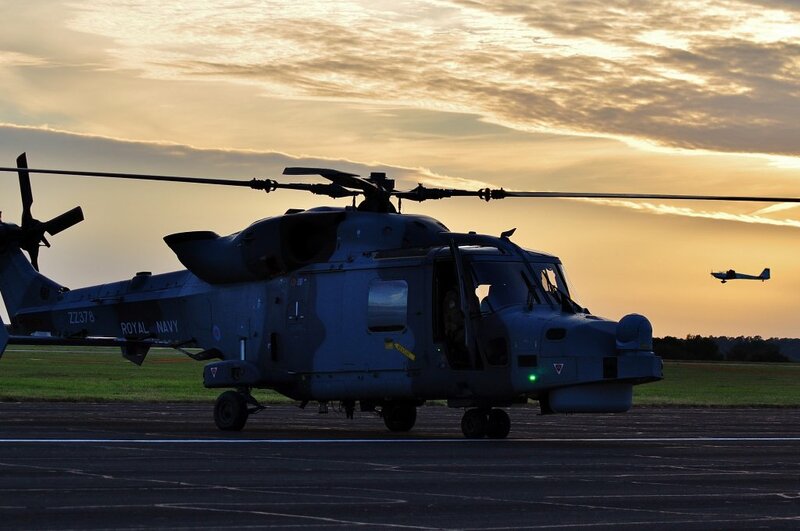 825 will be the 1st Royal Navy Wildcat squadron when it commissions later this year as the Operational Conversion Unit (OCU). 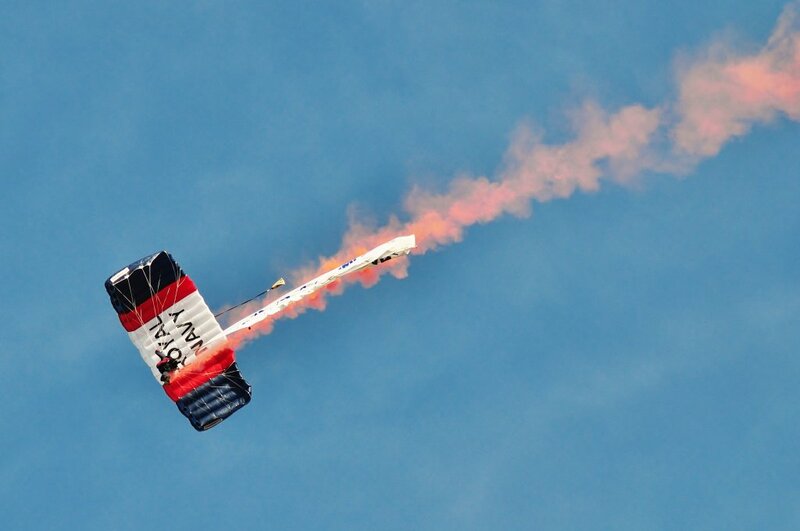 Ilminster Radio Control Club gave their usual demonstration prior to the main flying display which this year began with a 'drop' by the Royal Navy Raiders Parachute Team. With the sun shining it was a great sight to see the 'Raiders' and 3 of the team actually landed on their targets; impressive. 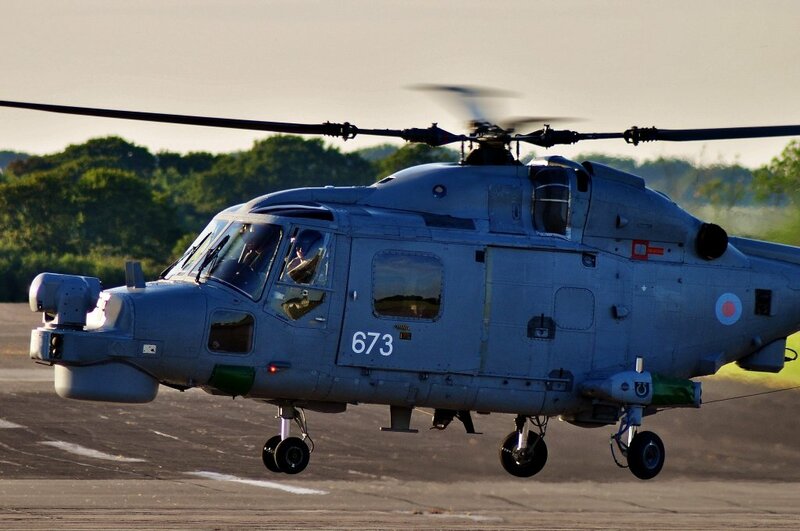 Following the RN Raiders were role demonstrations by a Lynx HMA8 of 702NAS and a Sea King HC4 from 845NAS. 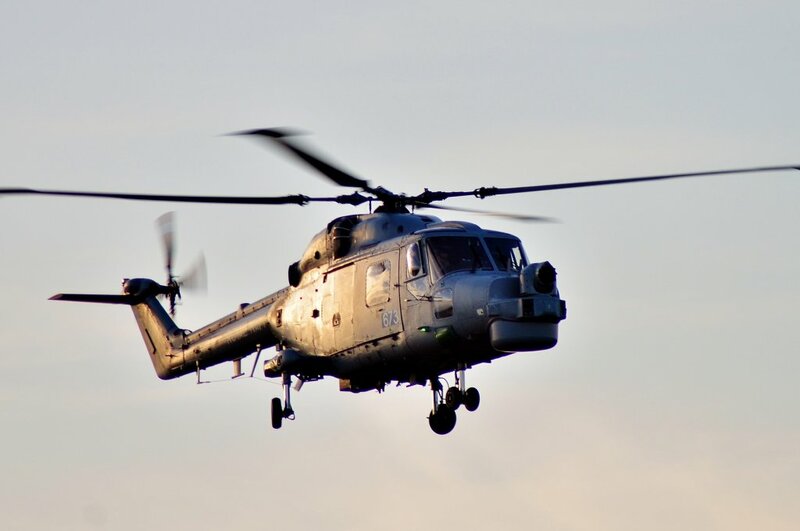 These aircraft showed the wide variety of training that is undertaken at Merryfield and the airmanship required of a modern day naval aviator. 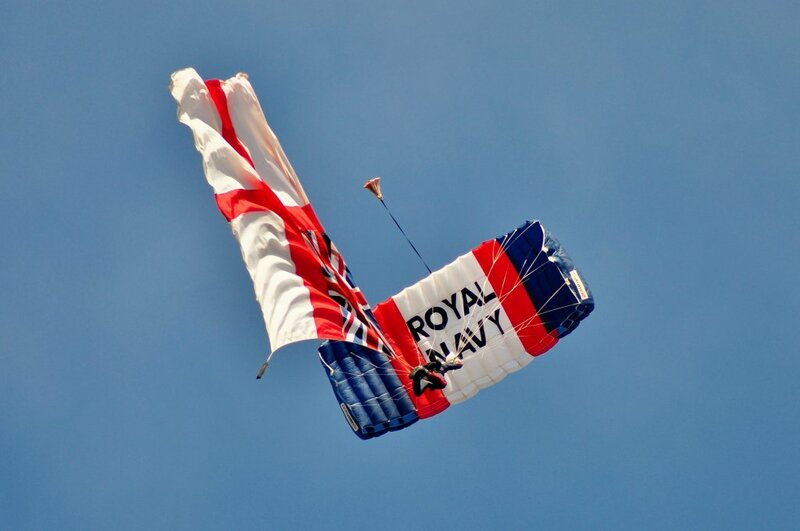 The Royal Navy Historic Flight (RNHF) has had a very difficult display season this year with all their main aircraft still in various stages of maintenance by the time of the Open Day. However, not wanting to disappoint a large crowd, RNHF were able to display the Portuguese marked de Havilland Chipmunk that is owned by former naval pilot John Beattie. Being the only fixed-wing display of the evening it gave a very spirited display which was well received by the spectators. 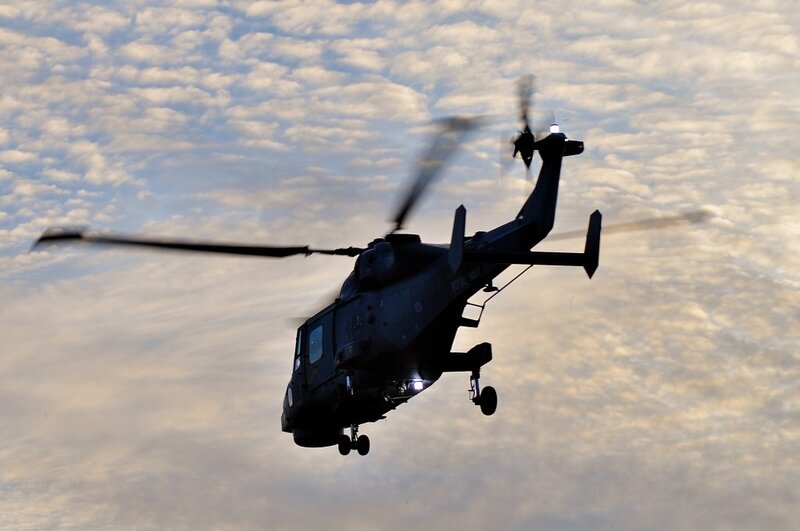 The Black Cats ended what was another very enjoyable evening courtesy of the Royal Navy and it was a little 'taster' of what was to come a month later at RNAS Yeovilton International Air Day. 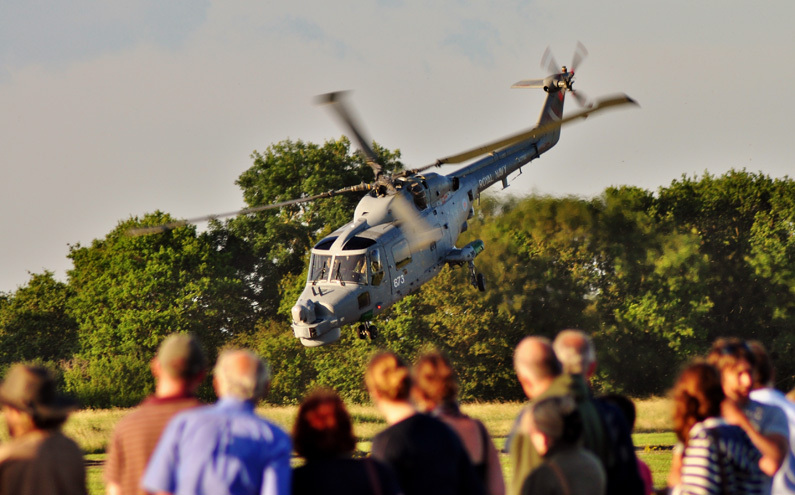 This year's Merryfield had one of its largest crowds to date and I'm sure that everyone went home happy, especially those few who stayed later to watch all the aircraft leave for their respective 'homes'. In charge for the evening was Cdr Merewether, who is a family descendent of the legendary Hawker Siddeley test Pilot Hugh Merewether. Of the evening the Cdr commented; '' we are always delighted to open our arms to the public every year. 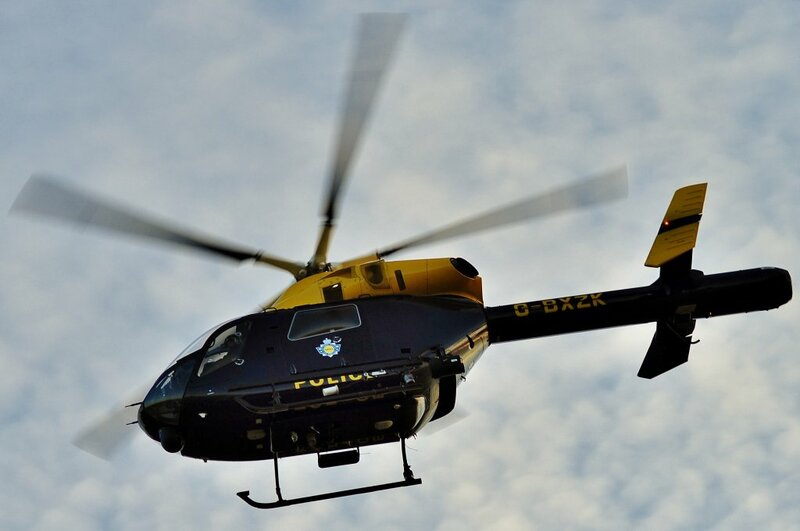 Our main purpose for the evening is to show the local Merryfield community what goes on here and why. 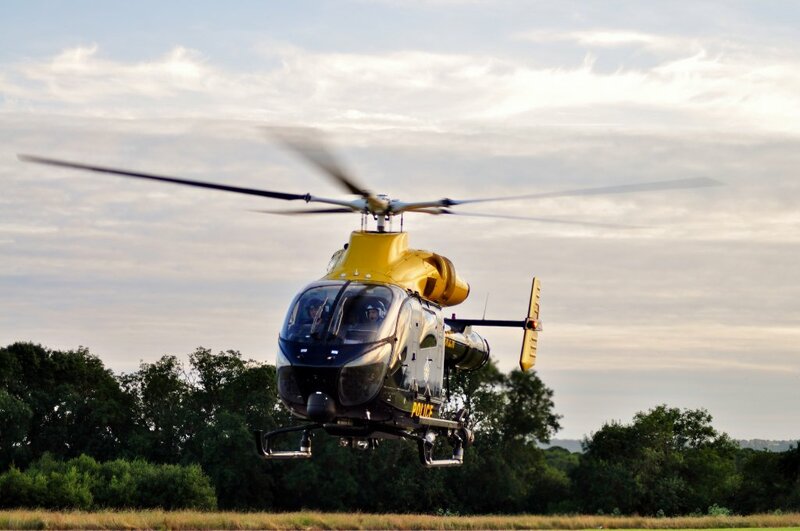 Our flying training requirement is intense and we use this airfield as a remote training site because much of the rotary-wing training cannot take place at Yeovilton because it still retains a fixed-wing flying capability. This evening has been very well attended and it is good to see a lot of happy faces, young and old. Our sailors enjoy this evening as it gives them a chance to explain their roles within the Fleet Air Arm and, sometimes, they are able to meet up with family and friends. Overall it has been a great success and we have been extremely pleased to see such a wide variety of ages in attendance tonight. Who knows, perhaps there are future sailors amongst the crowd tonight. We hope everyone has enjoyed their brief time with us and we hope that they will join us again next year''.